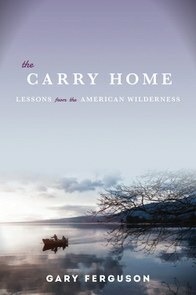 Review of ‘The Carry Home; Lessons from the American Wilderness’ by Gary Ferguson. Gary Ferguson, 296 pages, hardcover: $25. Gary and Jane were students at Indiana University when they met. They married in 1980 and spent the next 25 years walking, biking, driving and canoeing in remote places from Mexico to the Arctic. For the last 14 of those years, their journeys began and ended at a house near Red Lodge, Montana. Then Jane drowned during what should have been an easy canoe trip down the Kopka River in Northern Ontario.